So this weeks wrap up starts off with a post that everyone mom should read and can relate too! 1.) Motherhood Ate My Brain from the blog The Dishwasher’s Possessed. The post is all about how she handled a stressful mom moment by singing opera and insisting that if her kids were going to complain that they had to sing too. Brilliant move mom! 3.) With Father’s Day just a few weeks away this next post I read really got to me. Have a tissue ready and check out this post that was written by an Autism Dad. The post is called: A Love Story and it is from the Blog Many Hats Mommy. 4.) 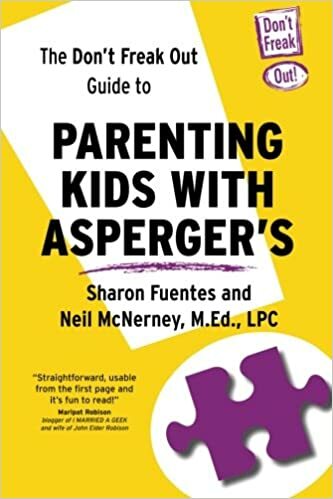 This next pick for the week will really make the autism readers chuckle but will also appeal to anyone who has a child who perhaps doesn’t really tell you what they are feeling. It is done like a David Letterman Top 10 list and it is called: Pass the Golden Hat and was written by Lynn over at My Life as an Ungraceful, Unhinged and Unwilling Draftee into the Autism Army. 5.) My last pick of the week will definitely be something that I know MY FAMILY and many others will be able to relate to. It is called 13 Things To Do in the ER for 30 Hours and was written by Varda who blogs at The Squashed Bologna: a slice of life in the sandwich generation. (I just love that title.) And make sure to leave her a comment and wish her mom a speedy recovery! Thank you so much for the shout out! I look foward to checking out the other blogs! Have a greaat weekend!